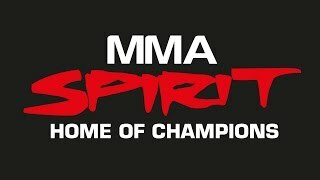 Best MMA Spirit gym in Frankfurt, Germany. Our main idea is to offer all styles of martial arts in one gym. You can train western boxing, Thai-/Kickboxing, No-Gi Jiu Jitsu, throws and takedown from various martial arts such as Wrestling, Judo, Jiu Jitsu, Sambo and of course Mixed Martial Arts for only one price! Our range offers special courses for kids (aged 5+) and kickboxing classes for women, who want to stay fit but also be able to defend themselves realistically. Besides our martial arts offer you can also train your muscles in our huge weight-lifting room or improve your stamina in the cardio area, which are both styled by “Cybex” under professional supervision. If you want to relax after a workout or a hard days´ work you can use our sauna which holds space for 30 people at the same time and has extra showers and a huge chill out area. Sauna, mini hotel, Shop equipment, great local area, deluxe gym. You will be able to inform yourself about the latest news around the martial arts scene but also to get any martial arts equipment and fashion items in one place.